Promotional rate offered through February 1, 2019. By clicking "Enroll" you are agreeing to enroll in the course and pay the full course fee. 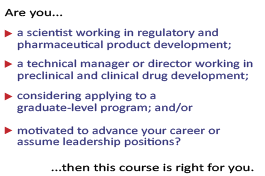 Only enrollments paid in full will be considered enrolled in the course.